Well, not really. However, I must have played through the campaign so many times over the years. Why play through the campaign so many times? 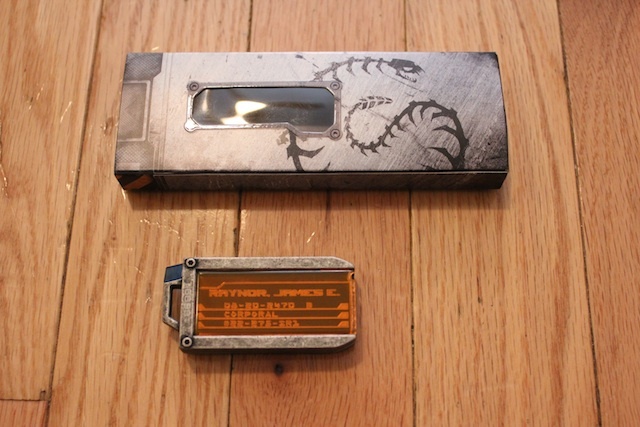 Well, ever since I could install things, I played through the campaign every time I installed it on a new or reformatted computer, and because I acquired the Raynor Dog Tag USB the other day, I was able to install a legitimate copy onto my netbook. Today, I started playing through the BW campaign after finishing the SC vanilla campaign yesterday (will probably finish it in the weekend), and I was yet again amazed at just how BW was able to run even on my netbook without a hitch. What WAS new this time around, however, was the experience of playing BW on a netbook. The keyboard and the screen were much smaller, and the touchpad was something I had to be concerned about (I can't disable it for some reason). I found out that the smaller keyboard actually helped in pressing hotkeys, but this was balanced by the fact that smaller screen meant a minimap that was a little harder to see. Overall, though, I found the experience of playing on a netbook quite enjoyable and relaxing (inb4 carrying netbook to BW LAN). 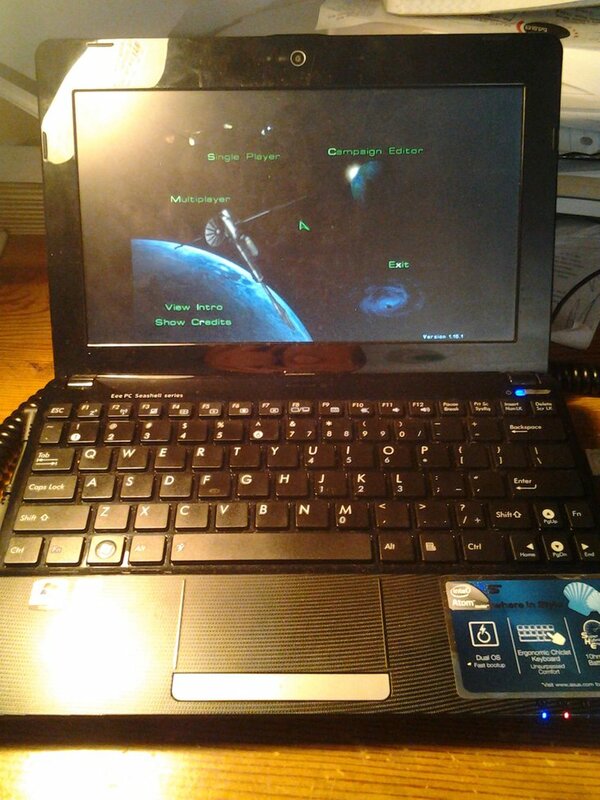 For reference, this is my netbook. Well now that you know what I do every time I install BW on a computer of mine, let me ask you some basic questions. Which mission is your favorite? Which mission do you hate the most? Which mission was the most interesting? Which mission do you actually consider the hardest now? New Gettysburg (SC vanilla Terran 9th), because I can spam battlecruisers, kill everything but a pylon, bring the BCs back, then send anything else to finish off the pylon to trigger the zerg horde. Kerrigan getting surrounded by zerg? Not on my watch! Definitely Countdown (SC:BW Protoss Final), because cannons are so fragile against the zerg. 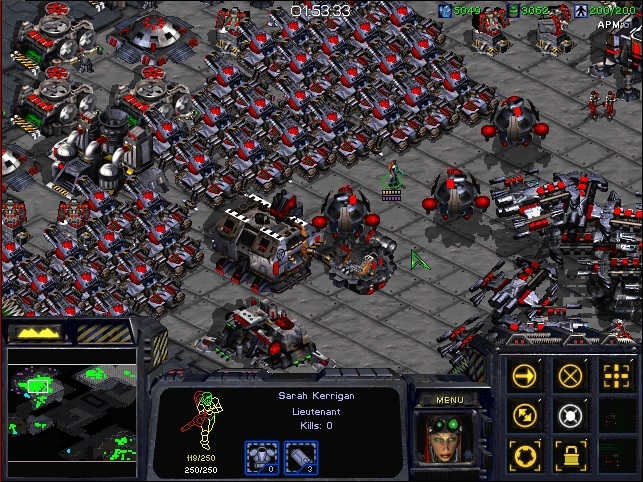 The first time I played the Battle of Braxis mission (SC:BW Protoss 5th) when I was little was pretty cool, especially the noise that plays when the turrets shut down. For me, it is currently a toss up between The New Dominion (SC vanilla Zerg 3rd) and The Reckoning (SC:BW Zerg 9th), the former because you actually have very limited amount of resources (and tech) to work with against Siege Tanks, the latter because of the time limit. I do pretty much the same thing on New Gettysburg except I throw in a bit of everything awesome like tanks, nukes, BC's and wall in. Guarantees everything dies at the ramp. I load up my old save every once in a while to watch the carnage. True Colors was also awesome because you got to fight Fenix in his super powered dragoon. edit: hmm..turns out the very last heart of the swarm mission is also called the reckoning tho theres no easter egg link between the two...hmm might have nice to add something like that in. I can't believe you can play on your netbook. I find it hard playing on my laptop, can never get use to the function keys. Haha yeah I did that too on New Gettysburg. I also did it on Emperor's Flight where the mutas come in the end, I'm like 'Nope, got valks and mnm'. Fav mission is probably the last Zerg mission in BW. I don't know why I find it so much fun, probably because it use to be one of the hardest missions for me when I first started playing (not anymore though). Being surrounded, harassed by Protoss on one side, battle cruisers on the other, and nukes as well. Other fav mission is The Countdown, I try killing everything on the map. Most installation missions, they're fun once in a while but I don't go back and play them over and over again, in most cases when I go through the campaign I skip them. The last Protoss mission in vanilla, Eye of the Storm, the first time I realised I got to play two races in the same mission blew my mind, it was so sick. I mean Protoss getting siege tanks is like a dream come true lol. I don't find any particular mission hard anymore, I've played so much and so long. I can make things harder when I put limitations on the missions though, like trying to beat installation missions without losing a single unit is hard. There's actually a mod that makes some missions harder that I've played. I've been meaning to fiddle with it and try and alter the campaign, but it's very time consuming. Update: Just finished it, and the last mission of BW is as satisfying as ever (cracklings OP). 1. I can't decide which is my favorite mission. In Vanilla, it was Terran or Protoss last missions because I can manage to spam Battlecruisers and A-move to victory. Same with BW as well. Assaulting in the final mission with carriers taking out all the Zerg bases before moving Artanis and Zeratul into the Temple was fun. 2. I hated the Protoss BW 5th mission with the turret blockade. Took way too many tries to work, and I can never remember the order to do it correctly if I replay the campaign. 3. Most interesting was the BW Zerg third mission, where you had to gather 10,000 minerals. Trying to max out on that initial base was the most difficult challenge (It is doable, but you have to rely on micro and little static defense). 4. Again with the Protoss BW 5th mission with the turret blockade. Also with BW Zerg 9th mission trying to finish before the time limit so you can activate the secret mission. Venture Capital is better off spent on lottery tickets rather than investing in E-Sports; you'll get a far better return. The difference is simple: Koreans are tryharding at the game, foreigners are tryharding in real-life. I loved countdown. I always mind controlled a drone and built a 200/200 zerg with my 200/200 toss army. Devourer scout guardian is unstoppable (but slow). Ultra zealot reaver is also fantastic. I hated To Slay the Beast. The UED forces are INSANELY powerful. Took me the longest time to beat it. Most interesting was Eye of the Storm because of the variety of ways to win and the variety of armies to use. I liked to expand to the minerals on not left as soon as I had the money for a second nexus and defend with dark templar. To Chain the Beast, goddamn those Torrasques. Although its still a walk in the park compared to the Torrasques in Enslavers. I was about to say the same thing. I've tried it before with BW, but oh man. I guess if you have the usb mouse sure. I can play everything but RTS and FPS with a touch pad. Yeah, I used a USB mouse. No way I can play BW on a touchpad.